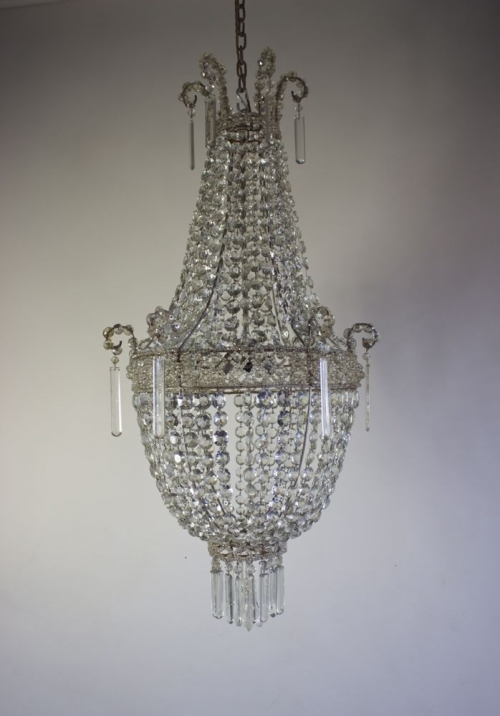 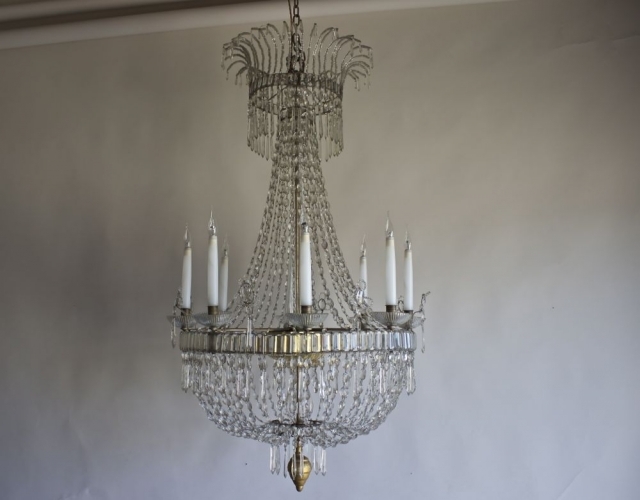 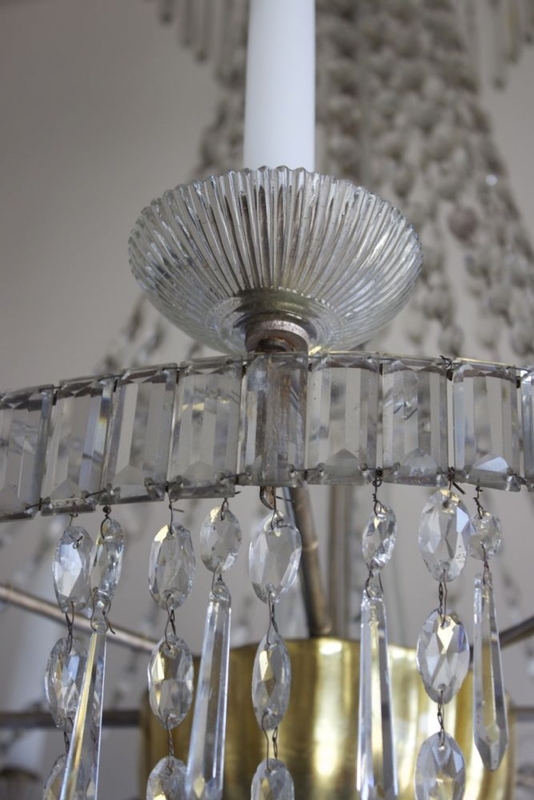 We have just added to the website three stunning antique chandeliers, 2 perfect for stair wells or large rooms and another French Napoleon 111 chandelier which has the most amazing central orb. 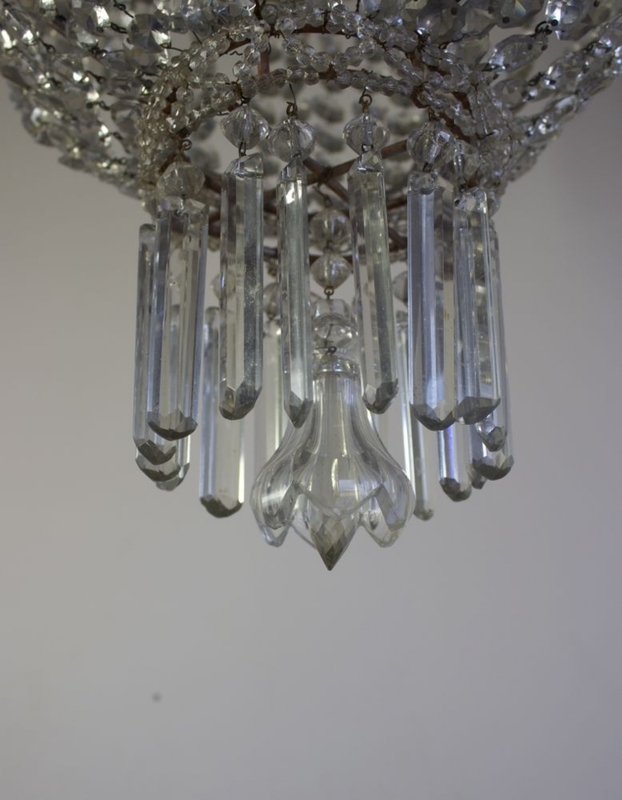 All these chandeliers are genuine antique items, we wire, test, renew pinning and photograph everything here at our extensive workshops. The largest of the three is an Italian early 19th century chandelier with pleated bobeches and a gilded glass receiver bowl, it is very ethereal in feel and would suit a big country house of a London appartment. 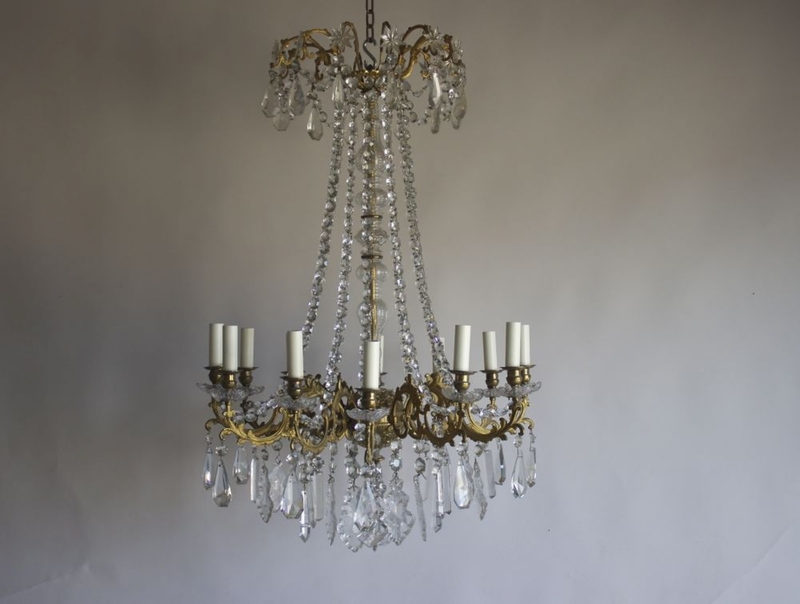 The Napoleon 111 is one of the loveliest we have had with a stunning gilded orb in the centre radiating to 12 arms carring small glass bobeches. Originally for candles it was drilled in the 1920s . 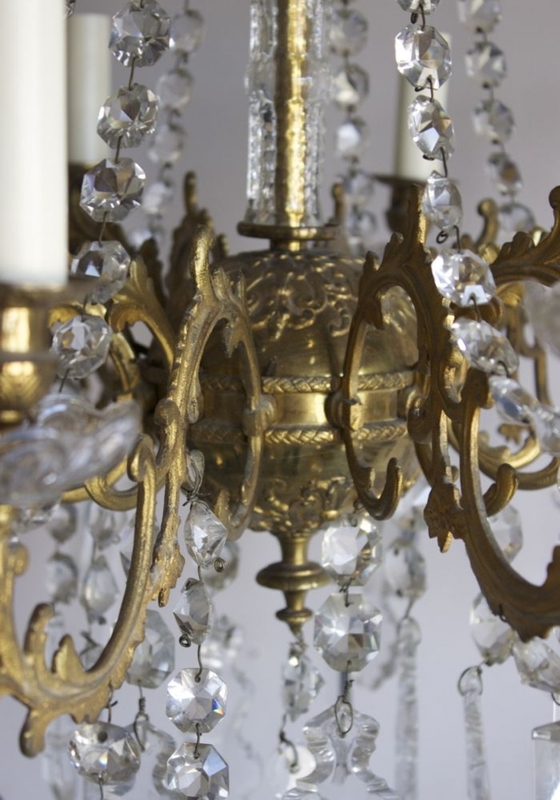 Bought in the south of France a few weeks ago and transported back here, each one of these has a personal history. The larges comes from a doctors house in Lyon, the ghost chandelier from a small Mas close to Vence and the Napoleon 111 from a Paris mansion. What stories could they tell us and what amazing times they have survived through.